This morning, I borrowed the SUV my son uses to bring a full load of cats, 17 to be exact, to the PAWS-Chicago Spay/Neuter clinic to be given their full spay/neuter package. This evening, I used the same SUV to pick them up from PAWS and transport them back to Tammy's. 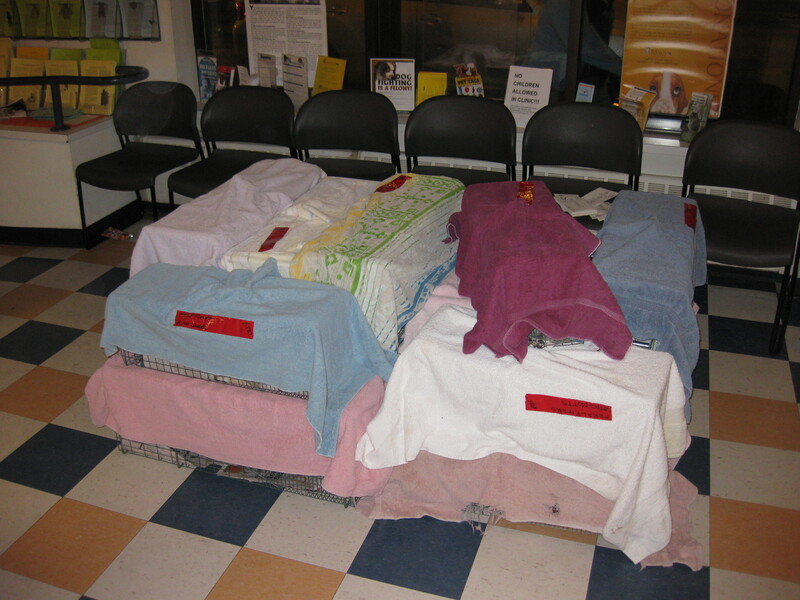 All but one of these cats was from a hoarding situation in Bensenville. This is not normally something that Feral Fixers gets involved in (we have our hands more than full dealing with outdoor cats), but this was a special situation so our President, Tammy, found herself helping out here. The cats are somewhat socialized - they don't freak out when a stranger walks up to them. But they are not interested in being picked up, held, or even petted - so they can't really be classified as friendly cats. This is the third hoarding situation that I've transported cats for and one aspect of them is always the same - the cats all look like each other. They are inbreeding and inbreeding - just a recipe for trouble. The cats today looked healthy, so we got to them in time, but they all looked pretty much alike. With these 17 cats, we've now had 73 cats fixed this month, 804 this year and 1,415 since our inception. Breaking 'hundreds barriers' (500, then 600, then 700 and now 800) has almost gotten to be old hat. Still, it's a lot of cats, any way you look at it. The picture thumbnail is of the 17 cats as I picked them up from PAWS this evening. If you click on it, you will see a full-size version of the picture.